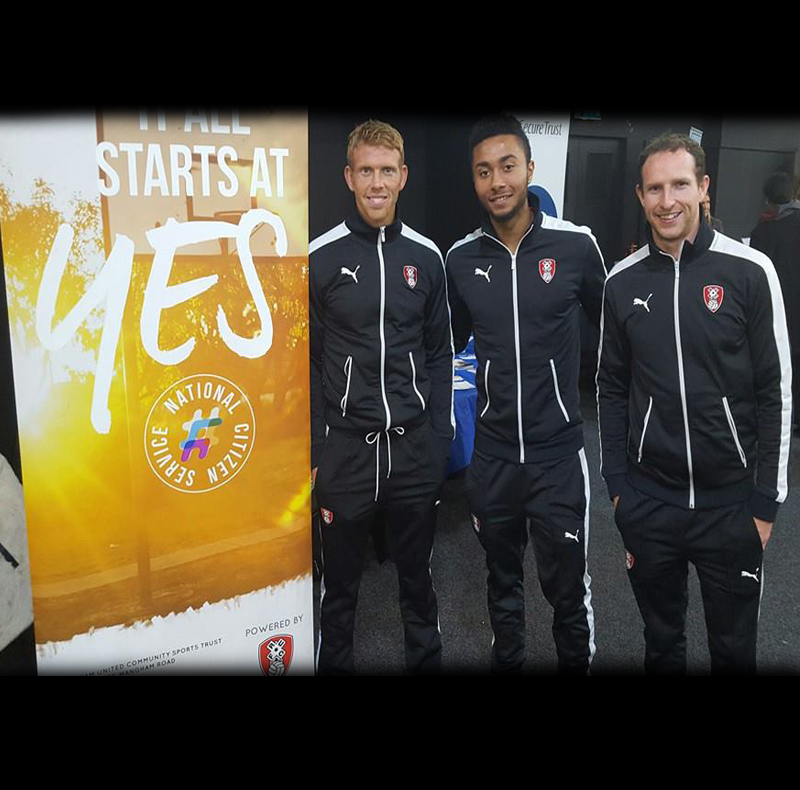 Rotherham United players Grant Ward, Aidy White & Paul Green attended the LEAF event at Magna on Monday 16th November. LEAF is organised by Mears/Morrisons, Job Centre Plus, Barnsley & Rotherham Chamber and RMBC. The event attracted almost 1,000 attendees throughout the day and 71 exhibitors. Businesses spoke to Rotherham Secondary School, College students and jobseekers about the range of roles within their particular sectors, the skills and qualifications needed to access these roles and the wider employability skills that they are looking for when completing application forms and attending job interviews. Grant Ward, Aidy White & Paul Green presented Judges Commendations to ‘runners up’ of the Rotherham Young Entrepreneur of the Year Awards 2015.